Reliable sources, told GO that the vessel with assortment of arms was seized by PMPF at dawn last night between 3:00 a.m. and 4:00 a.m. after a tip-off from the International naval forces off Somalia seashore. 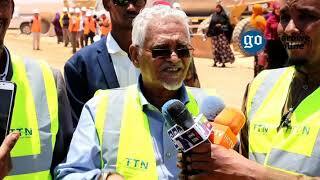 An arms dealer identified as Abdi Dhoof was reported to be belonging the seized illicit weapons on the boat heading to Bosaso, the commercial hub of Somalia's northeastern semi-autonomous region of Puntland. The arms, including machine guns, PKM guns, RPGs and AK-47 riffles have been transported from the war-torn Yemen, the main source of the illegal materials imports sailing towards Puntland coast. The Al Qaeda and Islamic State (ISIL) groups in the war-torn Yemen are believed to have strong links with the militants, including Al shabaab based in Golis Mountains in Puntland. Puntland Maritime Police Force (PMPF) with the support of the United Arab Emirates (UAE) has been successful in the eradication of piracy, illegal fishing, and other illicit activity in Puntland shoreline. 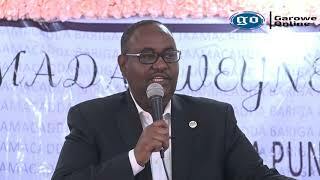 The PMPF formed in 2011 under the leadership of former Puntland President, Abdirahman Farole had made a significant progress in the fight against the Piracy off Puntland coastline. 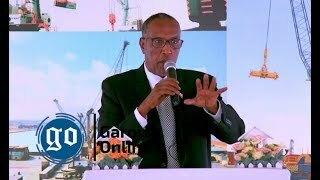 During Farole's administration, PMPF has succeeded to set free 28 foreign hostages aboard the M/V Iceberg 1 in December, 2012, after 2 years and 9 months in captivity, the longest held vessel by Somali pirates off Puntland coast. 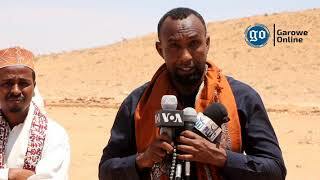 The operation to free the hostages and the ship by the Puntland Maritime Police Force left at least three pirates dead, while three others were arrested. 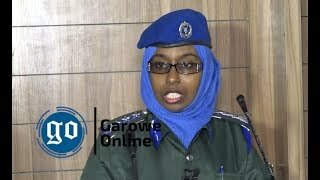 GAROWE, Puntland - The Former Finance Minister of Somalia's northeastern semi-autonomous region of Puntland, Farah Ali Shire spoke about the current economic and security situation of Puntland state, Garowe Online reports.